David Manilow, creator of the original Emmy award-winning, Chicago-based television show, “Check, Please!,” is set to participate at Check, Please! Arizona Festival at the event’s new location, Margaret T. Hance Park (67 W. Culver St., Phoenix, 85003) Sun., March 20, from 11 a.m. – 3 p.m.
Manilow is the creator and executive producer of the popular food program, which began on PBS station WTTW/11 in 2001. The show celebrates its 15th year, and locally produced versions appear on many PBS stations across the country in cities such as Seattle, Miami, Phoenix and others. Manilow, whose version of the show in the Bay Area has been honored with a James Beard Award, has interviewed more than 500 chefs and restaurateurs and has been named one of the top 10 most important people in the Chicago restaurant scene. Manilow will participate in a panel entitled “Check, Please! Confidential: Meet the Creators,” featuring “Check, Please! Arizona” host and James Beard Award-winning chef, Robert McGrath along with Arizona show producers and other special guest panelists. Festival visitors will get a behind-the-scenes look at “Check, Please! Arizona,” and have the opportunity to ask their burning questions of featured panelists. 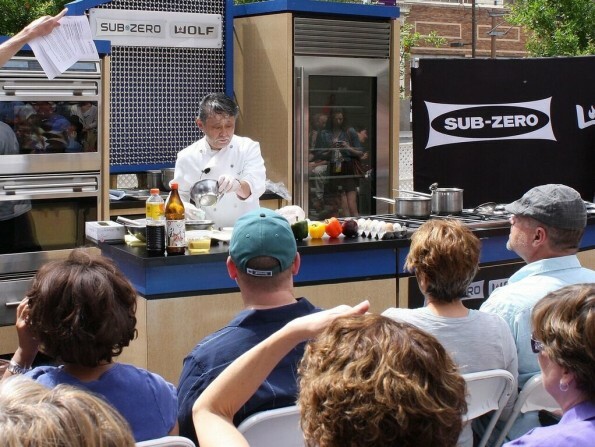 Three stages will set the scene: the SubZero/Wolf Chef Demonstration Stage, the Portland on the Park Chef Demonstration Stage, and the Mercedes Benz Panel Stage. 11:45 a.m.: A Masterful Chat with Lidia Bastianich. This conversation is hosted by “Check, Please! Arizona” host Robert McGrath as he shares an up-close conversation with special guest Lidia Bastianich, Emmy award-winning public television host, restaurateur and owner of a flourishing food and entertainment business. The best-selling cookbook author also discusses the makings of her latest book: “Lidia’s Mastering the Art of Italian Cuisine: Everything You Need to Know to be a Great Italian Cook.” The festival will also feature the booth Inspired by Lidia, serving samples of her creations, courtesy of MATCH Cuisine & Cocktails. 1:15 p.m.: Check, Please! Confidential: Meet the Creators panel discussion featuring “Check, Please!” creator David Manilow, “Check, Please! Arizona” host and James Beard Award-winner Robert McGrath and “Check, Please! Arizona” producers Margery Punnett, Suzanne Guery , and director of photography Scot Olson, as well as a few special guest panelists. In addition to chefs offering a number of unprecedented insights, more than 25 of Arizona’s independent dining spots are set to dish out their specialties; and offerings from global wineries and unique craft breweries will be available to sip as well. PEOPLE’S CHOICE AWARD. Also new this year, guests will have an opportunity to vote for their favorite dish of the festival in the new People’s Choice Award competition on social media – using the official event hashtag #CheckPleaseAZFest. Details available on the festival web page and on Arizona PBS social media: www.azpbs.org/checkplease/festival. TICKETS. Tickets are available at www.azpbs.org/checkplease/festival. General admission advance tickets are $59 through March 19; tickets at the gate are $69. 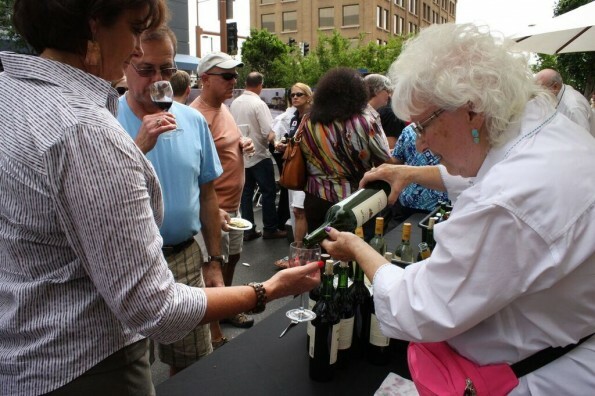 All tickets include food, wine and beer sampling as well as panel discussions, cooking demonstrations and guest lectures. NOTE: This event is expected to sell out, as in prior years. SPONSORS & PARTNERS. “Check, Please! Arizona” Festival is made possible by support from Hensley Beverage Company, Southern Wine & Spirits, SubZero/Wolf, Portland on the Park, Goose Island, Red Bird Farms, Mercedes-Benz of Scottsdale, Best Dental Care AZ, Ironwood Cancer & Research Centers, Whitfill Nursery, Lawns by Les, The Linkous Group, Phoenix New Times, Arizona PBS and R Entertainment. ← Previous Previous post: Savor the Flavor of Eating Right This March!